Yep, I know, before you say anything, I wasn't planning on it and it sort of just happened. You know how it is, big life shift = new hair and for me, that always tends to be something drastic. 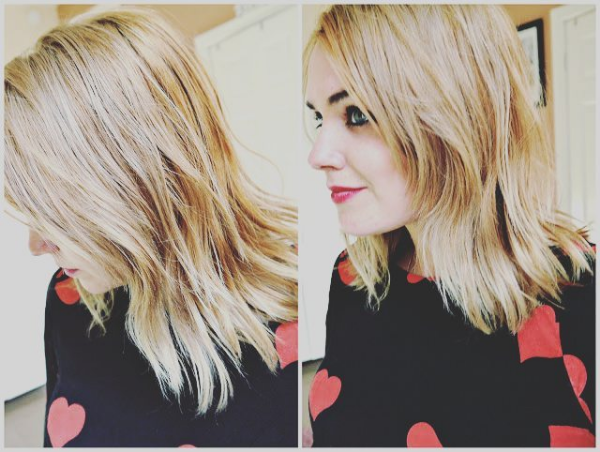 So there we have it, I'm blonde again and absolutely loving it. I'd forgotten how much lighter and brighter my skin looks when my hair is lighter and truth be told I was fed up of being dark and looking super washed out when I wasn't wearing make-up. I did it myself, following a similar procedure to what I did last time, starting with the Colour B4 Hair Colour Remover to break down the colour in my hair, followed by a series of bleaches and dyes to get my hair to a light, non-orange/canary yellow shade. Surprisingly it didn't take as much effort this time around and within three days I was working with an acceptable blonde hair colour. As I'm sure you can see, I'm not 100% there yet as there is still a lot of warmth in the lengths but overall I'm loving it. 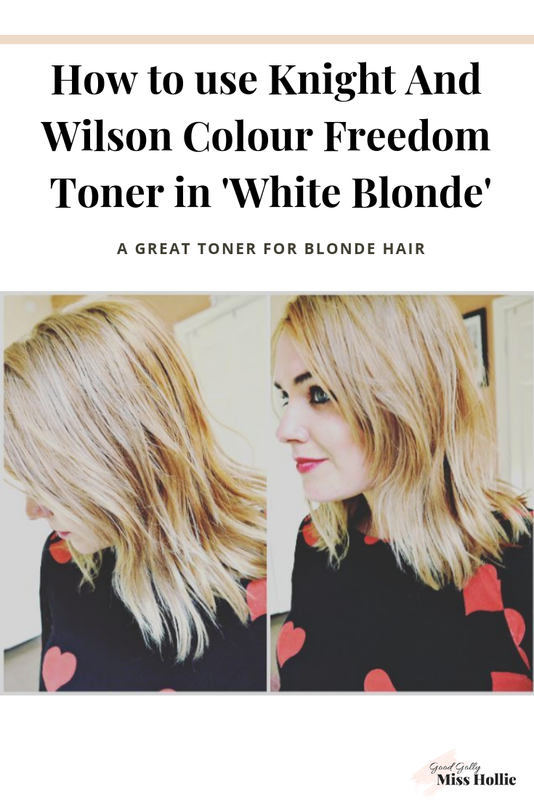 To tone and condition my hair I have been using the Knight + Wilson 'Colour Freedom Toner in 'White Blonde' now, of course, I know this conditioning toner won't budge the warmer tones, but it has given my hair a more general ashy base which I can work with. The formula is bright blue and I leave it on for an hour once a week to nourish and tone my hair to the shade you can see in the pictures above - a beigey blonde shade. You can use this toner straight after bleaching to help tone down any undesirable shades left after the process and I have to say it is a joy to work with. I bought mine from Superdrug for around £6.99 and there are various other toners to play within the range including pink and silver which might be fun to try again (lol) when my hair has brightened up to a more white/ash shade.